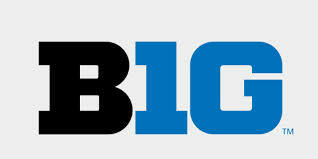 The Big Ten Network will triple its prime-time national TV exposure during football season and add more basketball games in the time slot, thanks to new deals with broadcast partners FOX, ABC/ESPN and CBS. The conference network extended its joint venture with FOX through 2032. BTN President Mark Silverman said ratings were up 5 percent last season, when the network showed more live events and studio hours than ever before. He also announced that former Big Ten stars Braylon Edwards of Michigan, James Laurinitis of Ohio State and Corey Wooton of Northwestern will join the broadcast team. The deals had been in the works for some time. Delany said a variety of issues had dragged negotiations out longer than anticipated, among them "pushback" from high school coaches and administrators over the conference's own Friday night telecasts.